Are you a Camp Director? Are you a Camp Director looking for some science fun this summer? These are great for groups of 25 or more. Our Mad Scientist will come and amaze your campers. Click here to learn more! Workshops are great for classroom sized groups of kids of 25 or fewer. These give kids a chance to have a hands-on experience with science. They even get to take an activity home at the end! Have more than 25 kids? No worries! We can provide mulitiple workshops. Click here to learn more! Preschool workshops are geared towards younger budding scientists. These are great for groups of 20 or fewer. Have more than 20 preschoolers? No worries! We can provide multiple workshops in the same day. Click here to learn more! 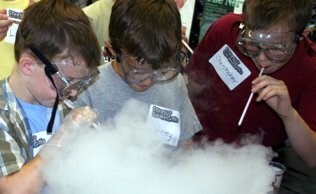 Would you like to host a Mad Science camp at your location? 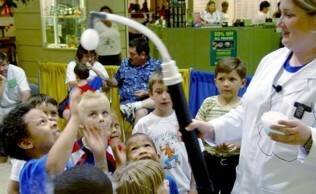 Each summer Mad Science offers full and half day week long camps at select locations through out the St. Louis area. Contact us to learn more.